The peace and quiet of Volcano make it a favorite place for many visitors and locals to spend the night. We like to set up camp in the village for example as a base to explore the east side of the Big Island or to spend some days in the Hawaii Volcanoes National Park. 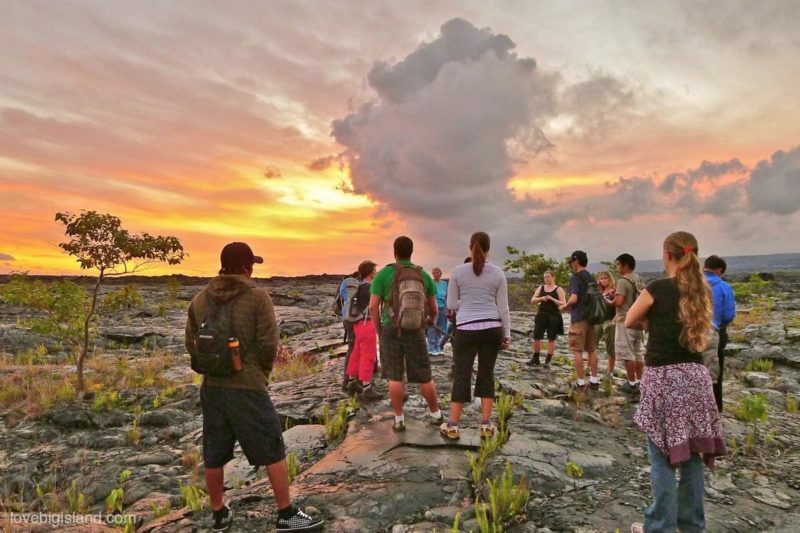 A visit to the Hawaii volcanoes national park is without a doubt the #1 highlight of Volcano Village. 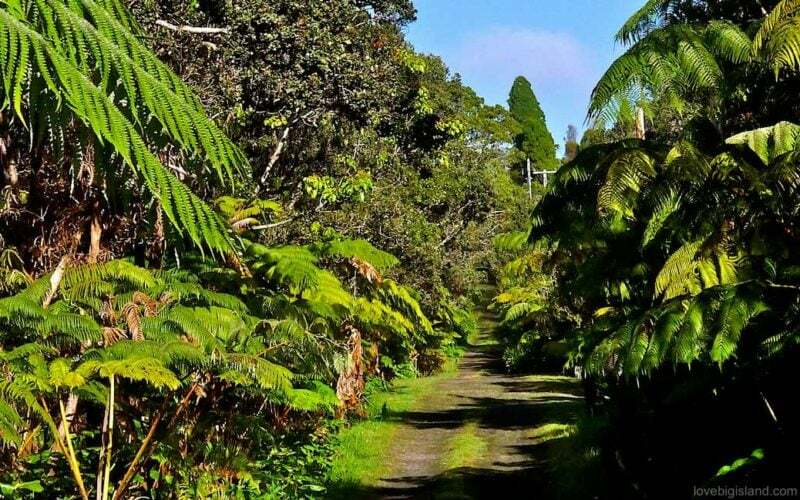 The Kilauea’iki hiking trail takes you over the still fuming floor of the Kilauea’iki caldera, and is one of our Volcano Village highlights. The easy/intermediate difficulty Kilauea’iki hiking trail. A road trip down the chain of craters road. The volcano art center to pick up local art for home. A hike through the Thurston lava tube. 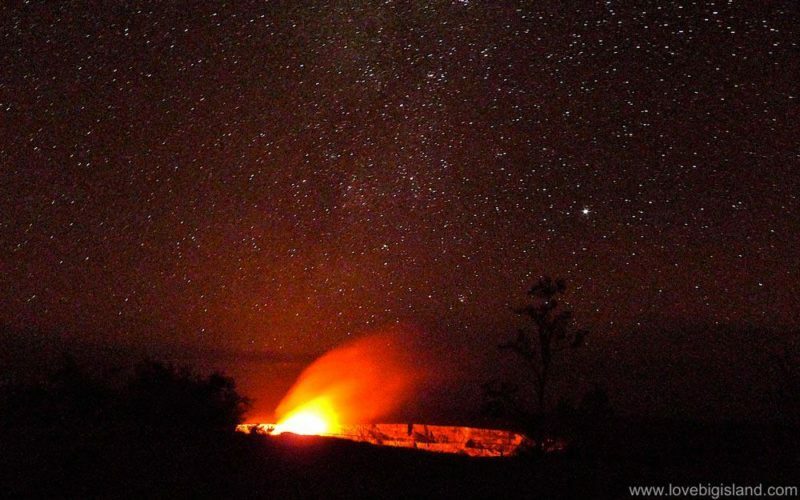 Going out at night to see the glow of the lava in the Halema’uma’u crater was one of the “must-do” while staying in Volcano Village until the crater lake collapsed during the 2018 LERZ eruption. The lava lake is almost certain to return to the summit in the future, but it is impossible to predict when. Besides visiting the park there are a few more local activities to be done in and around Volcano Village, such as a visit to the Akatsuka orchid garden or the local Volcano winery. You can find a complete list of all these activities in our article on things to do in Volcano Village. 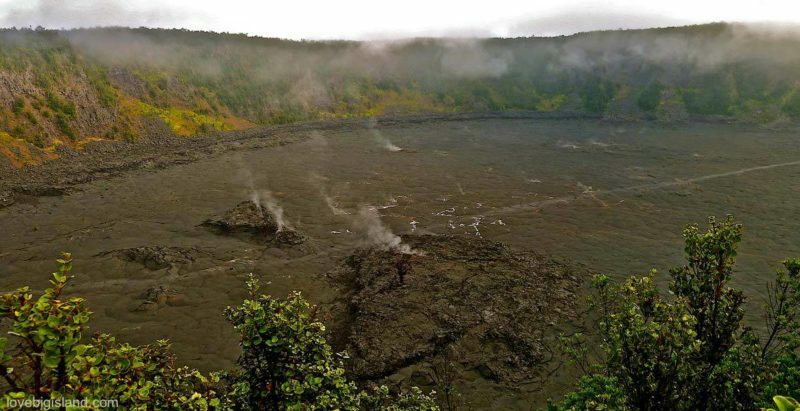 If you are spending time in Volcano and don’t have plans to also set up camp in Hilo or Puna *and* if it possible to see the lava flow in Kalapana, we urge you to seriously consider driving down towards the south-east one afternoon to watch the sunset in Kalapana and go on a hike to see the lava. You can also find the most famous black sand beach of Hawaii close to volcano village: Punalu’u beach. This beach is also famous for the turtles that often spend time on the beach and in the water. There are also some pretty scenic drives on the east side of the Big Island that are worth your time. 3 of them are easily reachable from Volcano Village, and one of them will take you past a few volcanically powered hot springs in the Puna district. A day trip is always too short for a visit to Volcano Village, especially if it is a day trip from Kona, Waikoloa or Waimea. Driving to and from the village from these places will mean that you’d have to spend at least 4 to 5 hours in the car. 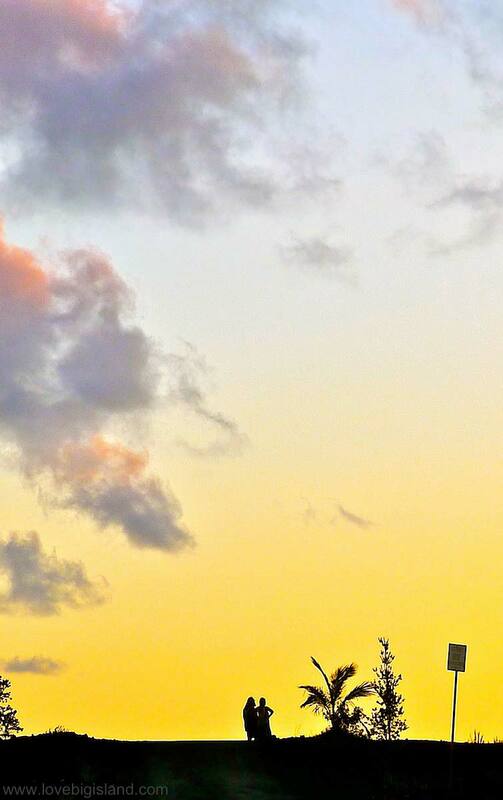 Visiting the park means lots of physical exercise, and especially the drive back home after sunset is a challenge. That is why we urge everyone visiting the hawaii Volcanoes National Park to at least spend one night in Volcano Village. There are many charming accommodation options in the village, which are in general cheaper than accommodations on the west (Kona) coast. Part of the “volcano village experience” is to relax in the hot tub or in front of the fire place in your own, private house. Check out our favorite vacation rentals in volcano village. Sunrises in Volcano Village are fantastic! One of the other highlights of spending the night in Volcano Village is waking up in Volcano Village. There are few places on the Big Island where sunrises are as relaxing, especially with all the birds doing their best to sing their songs (see video below).